Daryl G. Kimball became the Executive Director of the Arms Control Association in September 2001. From 1997 to 2001, he was the executive director of the Coalition to Reduce Nuclear Dangers, a consortium of 17 of the largest U.S. non-governmental organizations working together to strengthen national and international security by reducing the threats posed by nuclear weapons. While at the Coalition, Daryl coordinated community-wide education, research and lobbying campaigns for the Comprehensive Test Ban Treaty, further deep and verifiable reductions in nuclear weapons stockpiles, and against the deployment of an unproven and ineffective national missile defense system. From 1989-1997, Kimball worked as the Associate Director for Policy and later, the Director of Security Programs for Physicians for Social Responsibility (PSR) where he organized media, lobbying and public education campaigns against nuclear weapons production and testing, and research projects on the health and environmental impacts of the nuclear arms race. Through PSR, Daryl helped spearhead non-governmental efforts to win Congressional approval for the 1992 nuclear test moratorium legislation, to extend the test moratorium in 1993, to win U.S. support for a "zero-yield" test ban treaty, and for the U.N.'s 1996 endorsement of the CTBT. 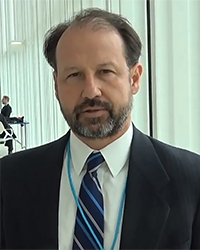 Daryl is a frequent source for reporters and has written and spoken extensively about nuclear arms control and non-proliferation, and weapons production. In 2004, National Journal recognized him as one of the ten key individuals whose ideas will help shape the policy debate on the future of nuclear weapons. Daryl is a 1986 graduate of Miami University of Ohio from which he received his B.A. in Political Science and Diplomacy/Foreign Affairs and a former Herbert R. Scoville Peace Fellow (1989).